If you’re an Ontarian, or if you’re just here for a visit, there are plenty of wonderful experiences to be had, especially out in this hot summer sun! For those of you living in a city, I implore you to get out of it! Sure, we have wonderful cities, full of attractions and excitement, but many of you may not realize just how easy it is to go on a day trip, right in your own back yard! I’m going to start this series with a look at the Grand River Conservation Authority. For those of you who aren’t familiar with the Conservation Ontario, I should note that there are 36 Conservation Authorities in the province. The Grand River Conservation Authority has 12 parks, including Belwood Lake, Bryant Park, Byng Island, Conestogo Lake, Elora Gorge, Elora Quarry, Guelph Lake, Laurel Creek, Luther Marsh, Pinehurst Lake, Rockwood and Shade’s Mills. 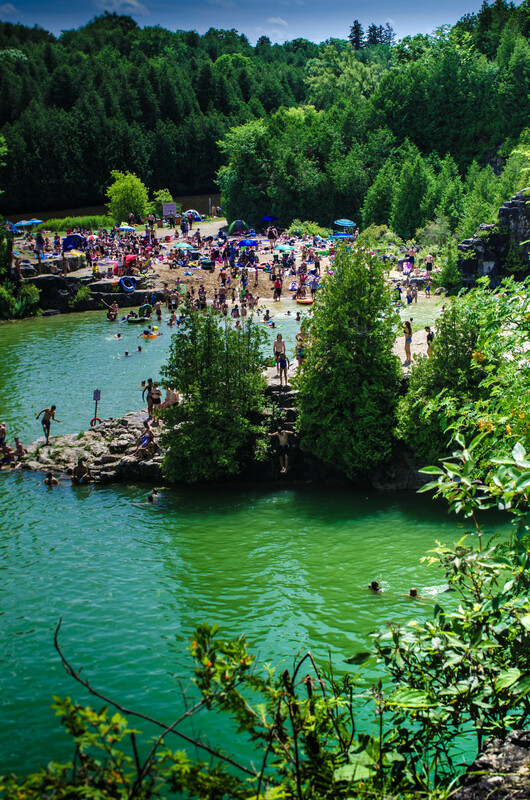 The Elora Quarry was rockin’ today and it wasn’t difficult to see why, it was 36 degrees with the humid-ex and everyone was in search of a cool down! 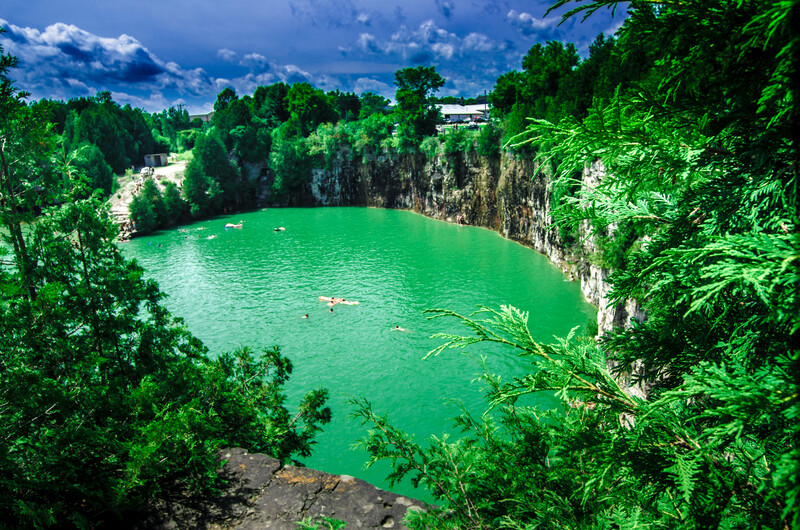 This 79 acre Conservation Park has a central swimming hole, in an old limestone quarry (2 acres in size), where visitors can swim along the towering limestone walls, some reaching upwards of 40 feet. 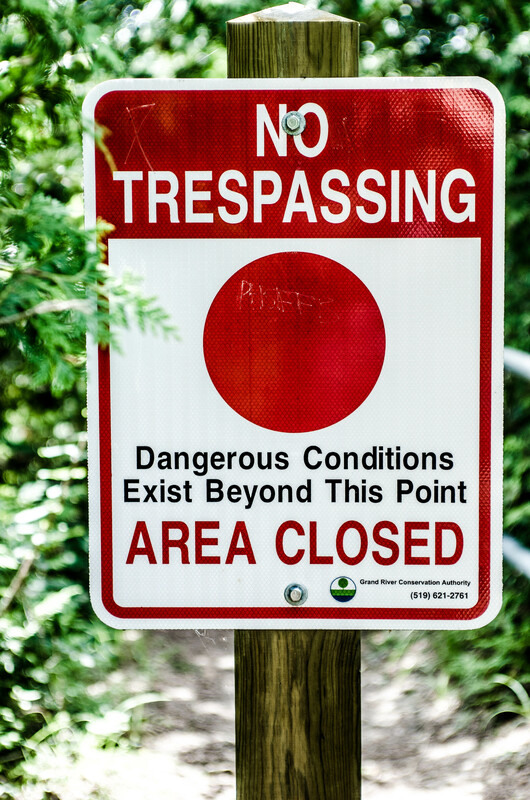 Now, because of the sheer height of some of these cliffs, it is important to remember, that although there is a gorgeous path that surrounds the upper section of the cliffs, it’s not ok to go exploring past certain points (clearly marked by Grand Bend Conservation Authority). The ground isn’t stable, and who wants to fall over a 40 foot cliff, anyway? This place is a great location for friends and family and people of all ages. Just remember, if you’re bringing little ones along, their safety is your priority. 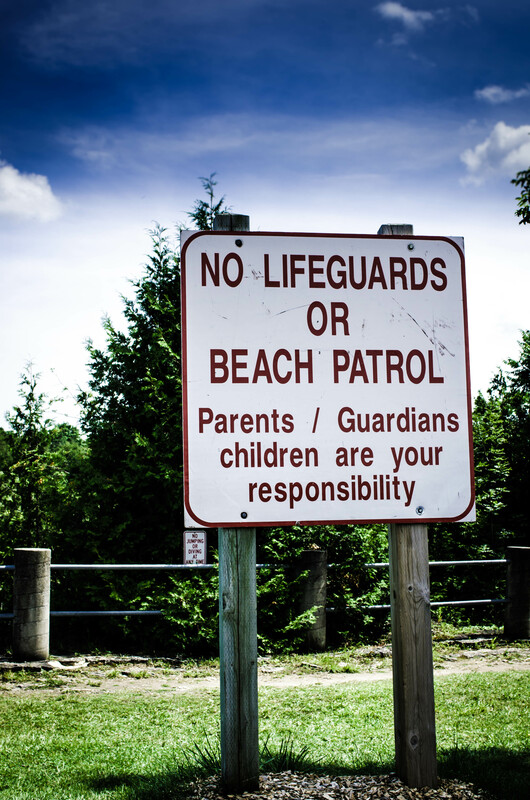 There are no lifeguards on site, so make sure you know where they’re swimming. There aren’t many places you can go these days that are as affordable and natural as this. You can bring the whole family out for less than what it would cost to go to the movies. Adults are $6, children between the ages of 6-14 are $3 and anyone under the age of 6 is FREE. If you’re headed here from Toronto (its only a 1.5 hour drive!) hop on the 401 W (take exit 295) at Highway 6 (turn right). Turn left at the 1st cross street onto Silvercreek Pkwy N (drive for just under 1km). Continue onto Wellington County Rd 39 (for 5.3 KM). Turn right onto Wellington County Rd 51(for 2.3 KM).Turn left onto Wellington County Rd 7 (signs for Elora) (drive 11.4 KM). Turn right onto McNab St/Wellington County Rd 21 then, At the roundabout, take the 3rd exit onto Metcalfe St/Wellington County Rd 21 (drive 400m). 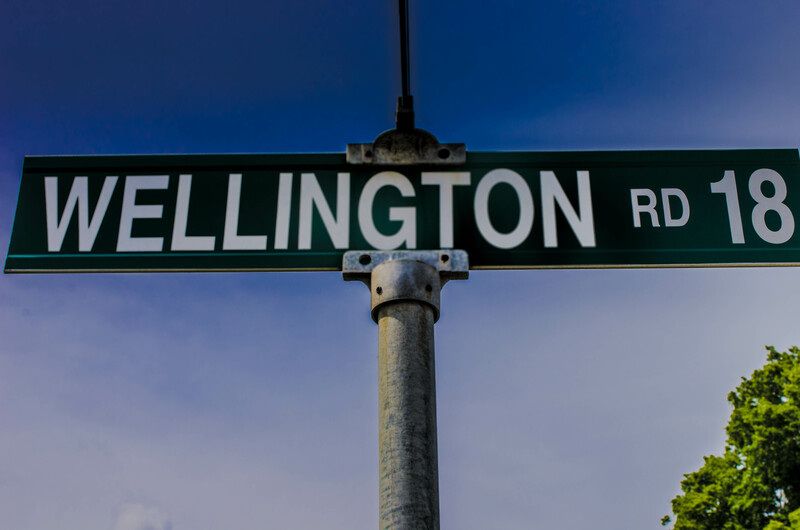 Turn right onto E Mill St/Wellington County Rd 18 (drive 1.4KM to Destination). 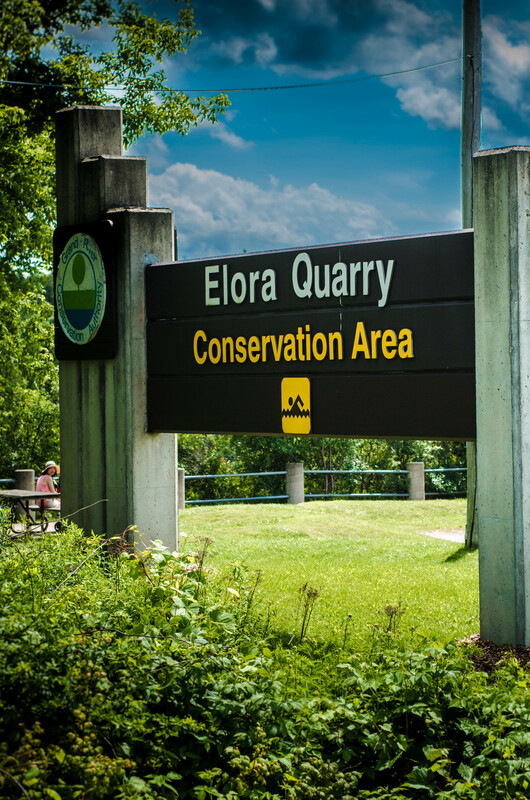 Or just search it out on your GPS/ mapping system you’re using, at Elora Quarry Conservation Area (319 Wellington 18, Centre Wellington,ON).